Various lesions can form on the external structures of the eye, including the conjunctiva, cornea, iris, sclera, and/or eyelids and while many are benign, it is important to have the lesion evaluated by Dr. Shin since some can be malignant and/or interfere with vision. A conjunctival nevus is a benign pigmented, mildly elevated growth on the surface of the eye (within the clear film over the eye). It can be yellow to dark brown in color and frequently contains cysts. It tends to increase in size during puberty. 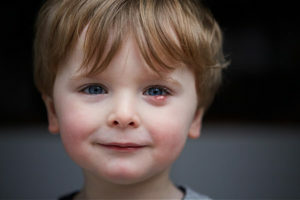 No treatment is necessary, although a conjunctival nevus may be excised if it becomes inflamed or appears red because of multiple or large feeder vessels. Dr. Shin prefers to secure an amniotic membrane graft with tissue glue in its place so the area is less likely to become dry and inflamed postoperatively, the patient heals comfortably, and the long term outcome is optimized. If excised, the specimen is sent to the laboratory to confirm it is not malignant. This benign congenital tumor contains choristomatous tissue (tissue not normally found at that site). 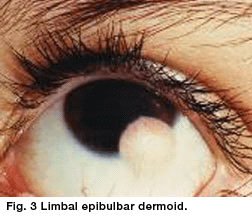 It most frequently appears to be a yellowish white domed lesion with epidermoid epithelium, sebaceous glands, and hair which straddles the inferior temporal quadrant of the corneal limbus. 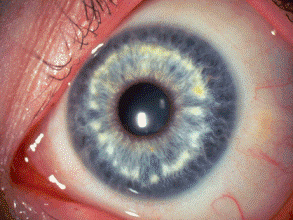 However, it may occasionally present entirely within the cornea or be confined to the conjunctiva. It is frequently associated with Goldenhar syndrome. Treatment may consist of periodic removal of irritating cilia, topical lubrication to prevent foreign body sensation, or partial resection of the lesion if it is induced excessive astigmatism, causes significant cosmetic disfigurement or interferes with vision. Partial resection is preferred over complete excision because limbal dermoids typically extend deep to the surface plane of the eye and it carries less risk of perforation. A Lisch nodule is a hamartoma, i.e. a benign growth of an abnormal mixture of cells and tissues normally found in the area where the growth occurs. 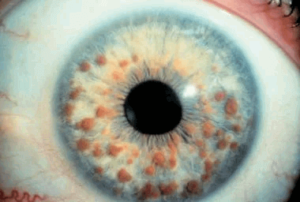 They appear as raised tan to brown pigmented lesions of the iris, are not visually significant, and may increase in number over time. They are associated with neurofibromatosis type I. Based upon six studies of Lisch nodules among different age groups, the incidence of Lisch nodules in neurofibromatosis type I patients is approximately 50% at age 5 years, 75% at age 15 years, and 95-100% over age 30 years. The absence of Lisch nodules does not preclude the diagnosis of neurofibromatosis. 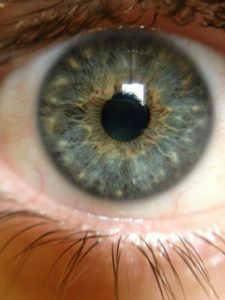 Brushfield spots are small, white or grayish-brown benign spots in a ring in the periphery of the iris. They are frequently associated with Down syndrome or trisomy 21. They are collections of connective tissue, which are normally part of the iris. Wolfflin spots, seen in non-Trisomy 21 individuals, look like Brushfield spots but are less well defined, fewer in number, and more peripherally located. 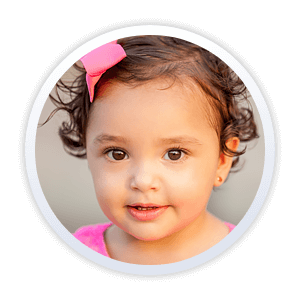 Molluscum contagiosum lesions are small, raised bumps with an umbilicated center that are painless, viral and highly contagious. They can cause a follicular conjunctivitis, especially from periocular lesions. They can eventually resolve without treatment but may take months or even years. Oral cimetidine is not as effective for facial mollusca as it is for these lesions elsewhere on the body. 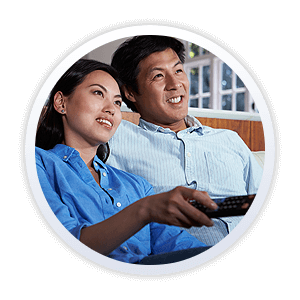 They can be treated by unroofing and curettage or surgical excision. A capillary hemangioma is a benign proliferation of tiny blood vessels which are typically absent at birth, appear within the first 6 months of life and rapidly grow during infancy. 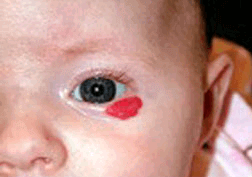 Capillary hemangiomas are present in approximately 1-2% of neonates. Female patients with hemangiomas outnumber males 3:1. Fifty percent spontaneously involute by age five and 75% by age seven. 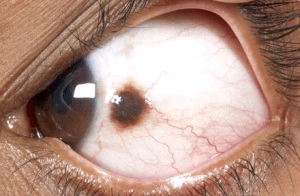 A capillary hemangioma requires treatment if it obstructs the visual pathway because of its location in the eyelid or it causes significant astigmatism as a result of its mass effect on the cornea. 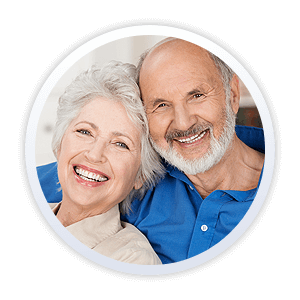 Treatment options include topical or oral propranolol (the oral form is dosed by a pediatric cardiologist), topical or intralesional steroids, laser or excision. A chalazion is caused by a blocked meibomian gland and is often associated with blepharitis and/or meibomitis or meibomian gland dysfunction. They are not contagious, though they can become secondarily infected, may occur in one or more meibomian glands simultaneously, may wax and wane in severity or may recur. A chalazion is often thought to be a hordeolum/stye (please see below). 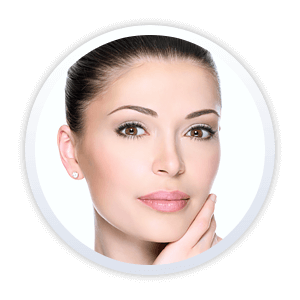 Medical treatments include warm compresses, lid hygiene with eyelid wipes such as Blephadex (which contain tea tree oil and coconut oil), topical ophthalmic ointments, and/or systemic medications. 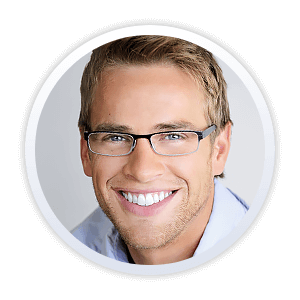 Surgical excision may be considered if the chalazion/chalazia is/are inflamed or has/have been resistant to conservative treatment. A hordeolum and a stye both represent a localized bacterial infection or inflammation of the eyelid margin, either at the lash follicles (hordeolum externum) or the meibomian glands (hordeolum internum). They are often thought to be chalazia. 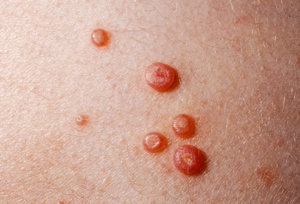 They may transform into chalazia if chronic or may progress to cellulitis if left untreated. As for chalazia, medical treatments include warm compresses, lid hygiene with eyelid wipes such as Blephadex (which contain tea tree oil and coconut oil), topical ophthalmic ointments, and/or systemic medications. Surgical excision may be considered if the lesion is inflamed, large, or has been resistant to conservative treatment.